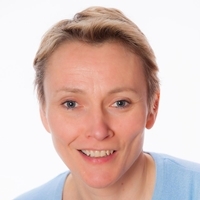 I am a registered children’s dietitian with over 20 years’ clinical experience in the NHS and with particular expertise in food allergies and gastrointestinal conditions such as irritable bowel syndrome (IBS) and inflammatory bowel disease (IBD). I have a BSc Honours degree in Nutrition and Dietetics and a Masters Degree in Applied Paediatric Nutrition from Southampton University. I also have a Diploma in Child Psychology and significant experience in dealing with babies and children with feeding behaviour problems. I am registered with The British Dietetic Association and Health Care Professions Council. I am a member of the British Society of Paediatric Gastroenterology, Hepatology and Nutrition and the Food Allergy and Intolerance Specialist Group of the British Dietetic Association. I am a mother to two boys and juggle parenthood with running my own freelance business as a specialist paediatric dietitian, both of which are hugely enjoyable and rewarding experiences. I offer a private clinic for children aged 0 to 18 years at Friarsgate Surgery, Winchester on Monday afternoons and Friday mornings and Spire Hospital, Southampton on Wednesday mornings. Telephone, Skype & FaceTime consultations are available for the rest of the UK. A Dietitian is a health professional who translates the latest nutritional science and research into practical guidance about food, allowing the individual to make appropriate food and lifestyle choices for their health. Dietitians hold the only legally recognized graduate qualification in nutrition and dietetics in the UK, and are the only nutrition professionals to be regulated by law and governed by ethical code, to ensure they work to the highest standard. Dietitians must be registered with the Health and Care Professions Council (www.hcpc-uk.org) and be a member of their professional body, the British Dietetic Association (www.bda.uk.com) in order to practice. The minimum requirement to qualify as a Dietitian is a university degree in Dietetics. The title ‘Nutritionist’ is not protected by law, and anyone can call themselves a nutritionist.